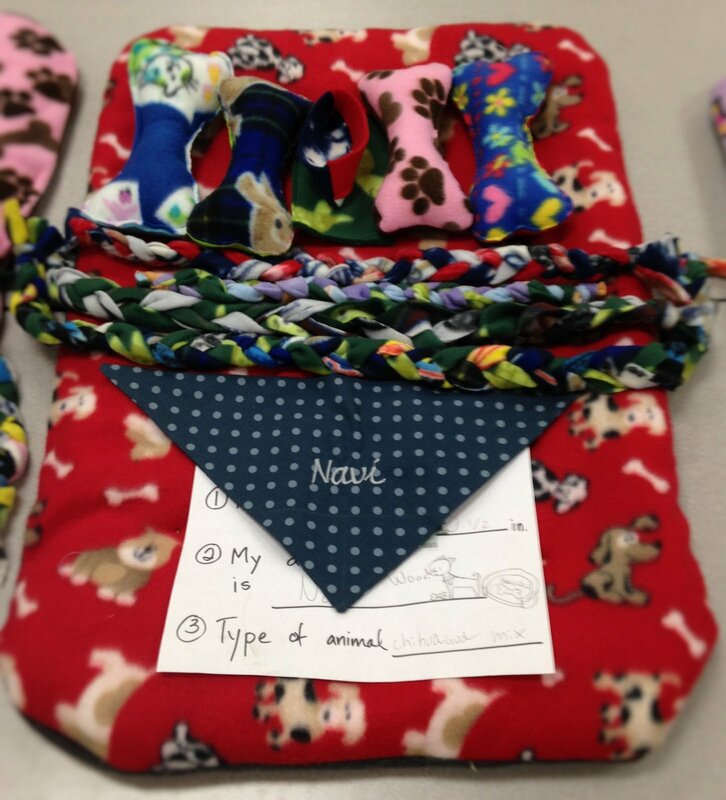 Projects include fleece pet bed, embroidered kerchief, braided chews and fluffy, curvy dog bones. Time built into class for engineering: "think it through" scrap sewing. STEM training includes estimate, measure, sew and cut. Work with fleece, cotton and fluff. Stitch curvy dog bones.